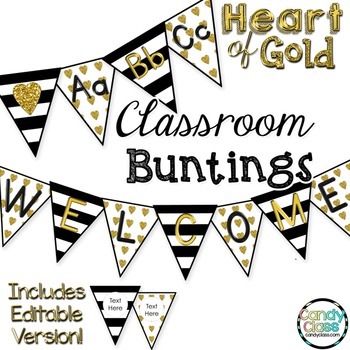 Bunting: Add any message with this editable bunting, and bling out your classroom in gold! Please note, this resource is in a zip file. 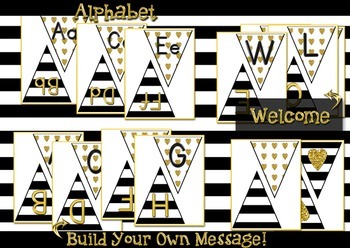 It includes the editable pages with the circle on the bunting in an editable PowerPoint and the rest of the buntings in a non-editable PDF for easy printing. These buntings are for personal use only and one license is for one classroom. Multiple licenses may be purchased for a discount. For extra discounts on district licensing, please contact me at teachcandyclass@gmail.com.